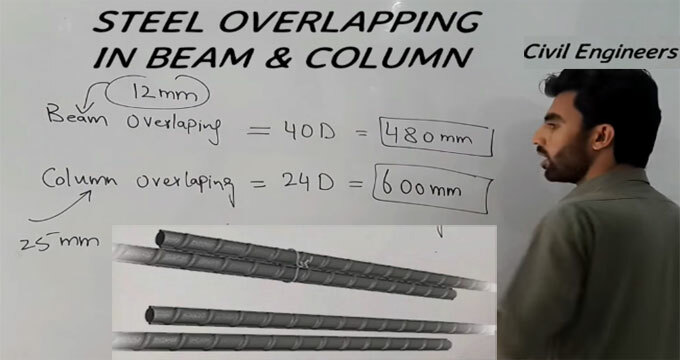 This construction video demonstrates the detailed process for steel overlapping in beam and column. In beam overlapping, one steel is used with other. Here, overlapping is calculated with 40 D for beam and 24 D for column. D denotes the dia of the steel bars which are utilized in a beam. The dia of beam is 12 mm and dia of column is 25 mm.